Glued in the electrical duct with 5 min epoxy. There were some voids, but I patched with micro. Filled in the rest of the space with scrap foam, and filled in the gaps with micro. Put a piece of plastic on top, and added weight for cure. Sanded down the foam and micro to the same height as the wood pieces. Filled in a few low spots with some dry micro and glassed 6 layers of BID at 45 degrees with Kim’s help and finished with peel ply. Trimmed the layup from last night. Measured for cutting the front of the sides, and found a post asking about cutting material off the rear affecting the 5.5″ to LWY measurement needed for the spar. Nat apparently said to leave the rear and trim most of the material from the front. My 5.5″ measurement is more like 5.25″ or 5.3″. Need to figure out the best solution. Seems to me that I need to add material now, and then trim the rear to size, then trim the front. I would like to get confirmation first, so I will post to the group tomorrow. 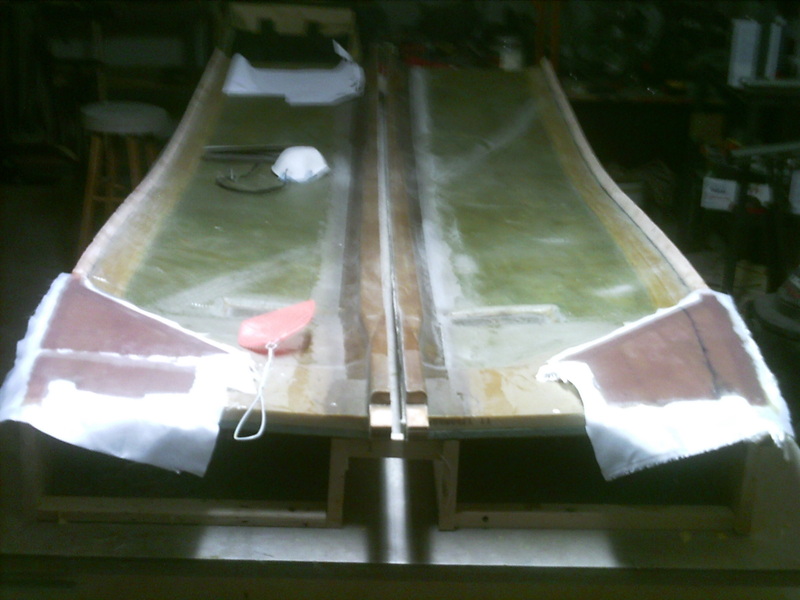 Trimmed holes in the firewall for fitting to the fuselage sides. Cut the longeron ends to a shorter length to make fitting the firewall more manageable. Checked the height of the tabs on F22, and sanded one down so the match exactly. Fixed the LWY stringer that I was attempting to saw through. Started by sanding the glass on top to get to bare wood. 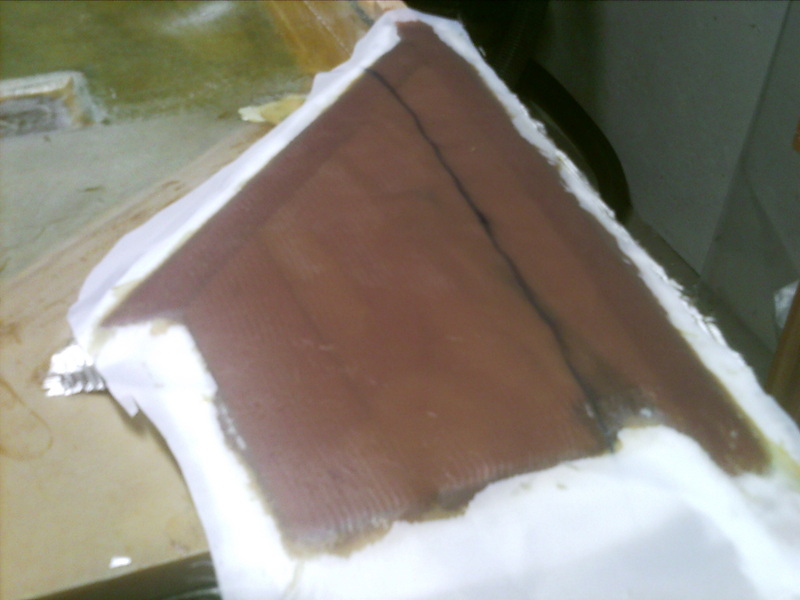 Then cleaned out the saw cut, filled the cut with flox and added 6 layers of BID at 45 degrees to patch. Also added a little epoxy and peel ply on the electrical channel where I sanded into the glass a bit. Also glassed the BID tape along LWY and I trimmed off partially. Trimmed after cure.